Date: Wednesday 18th of January 2017, 14:00. Physics and Materials Science, University of Luxembourg, L-1511, Luxembourg. 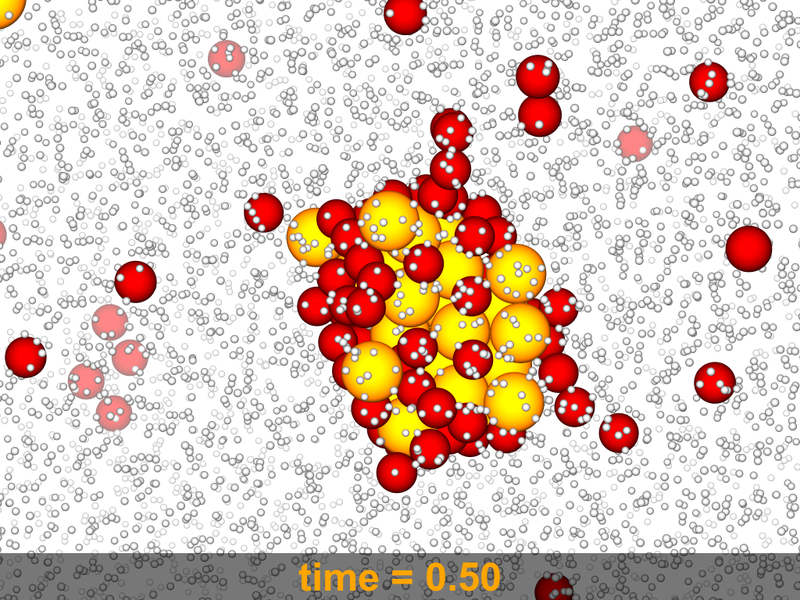 We investigate the early part of the crystal nucleation process in the hard sphere fluid using data produced by computer simulation. Contrary to various hypotheses and reports extant in the literature, we find that hexagonal order manifests continuously in the overcompressed liquid, beginning approximately one diffusion time before the appearance of the first ‘solid-like’ particle of the nucleating cluster, and that a collective influx of particles towards the nucleation site occurs simultaneously to the ordering process: the density increases leading to nucleation are generated by the same individual particle displacements as the increases in order. We rule out the presence of qualitative differences in the early nucleation process between medium and low overcompressions .